The Antioch Press was publishing as early as 1923 but published most of its titles in the early to mid-1930s and 1950s-1960s. It was still publishing infrequently through at least 2012. The Press was associated with the Quaker-affiliated Antioch College in Yellow Springs, Ohio. 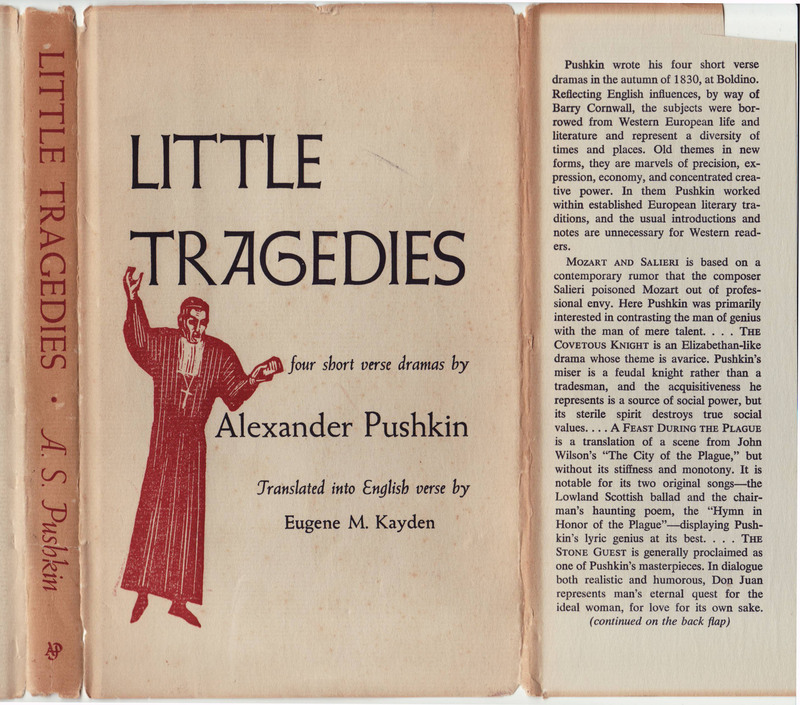 This copy of Pushkin’s Little Tragedies is a 1st printing from 1965. Jackets are unique to each title. 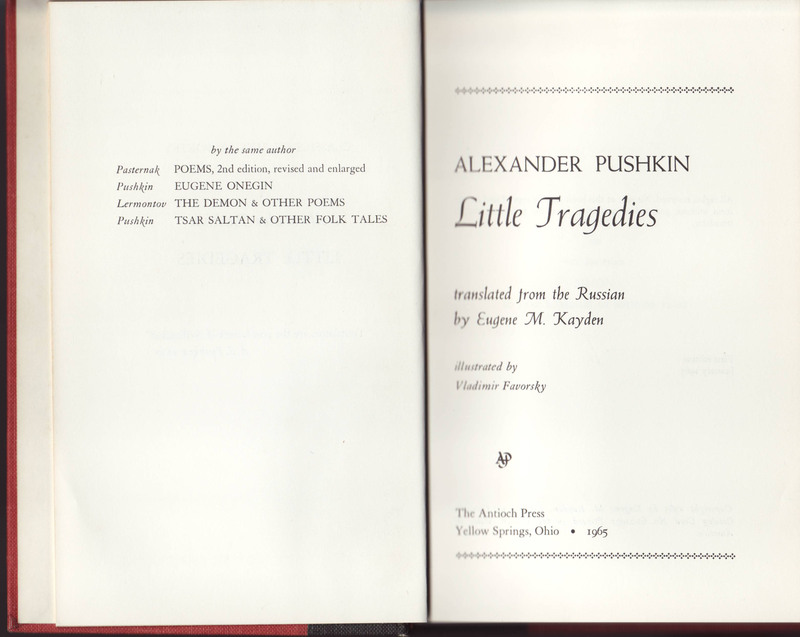 The series name is not indicated on the jacket spine or front flap. 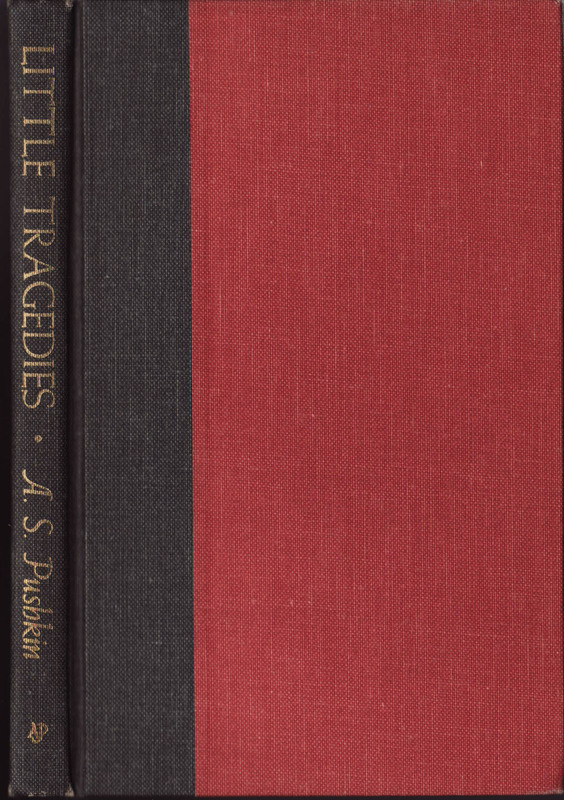 The front flap describes the book. 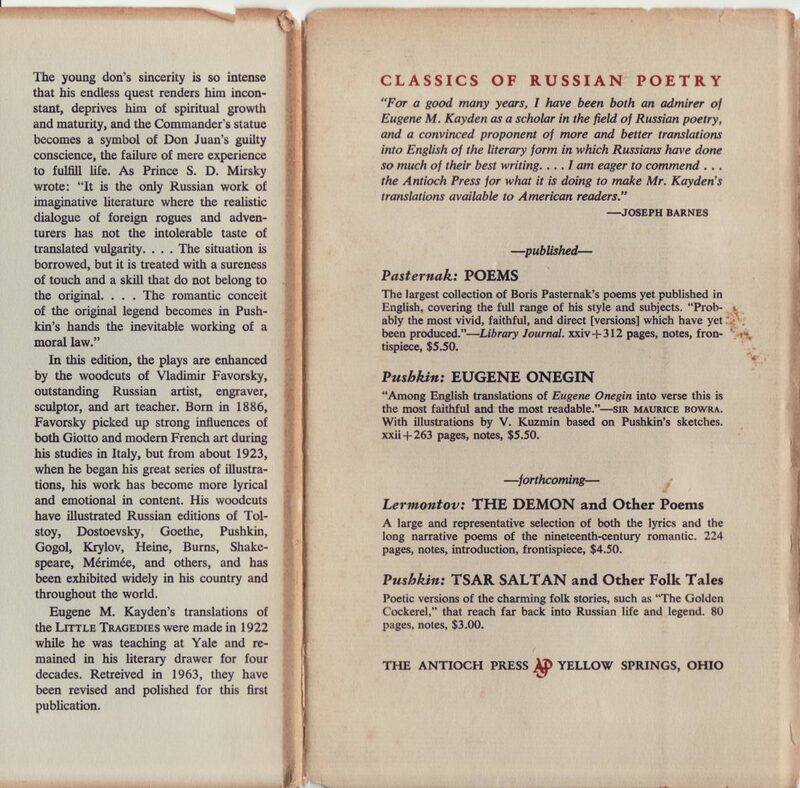 The description of the book began on the front jacket flap continues to the rear flap. The series name is indicated on the top of the back of the jacket with a blurb about the translator, Eugene Kayden. 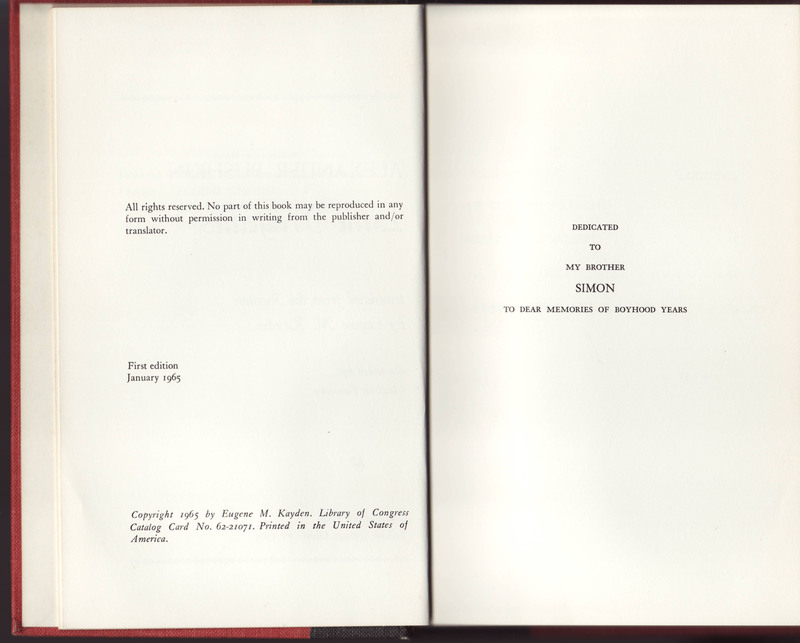 Three of the series titles had been published (including this title, which is not in the list) and two were forthcoming. Quarter bindings in black and red with gold typography. The series name is indicated on the half-title page. Additional titles by the author are listed facing the title page. 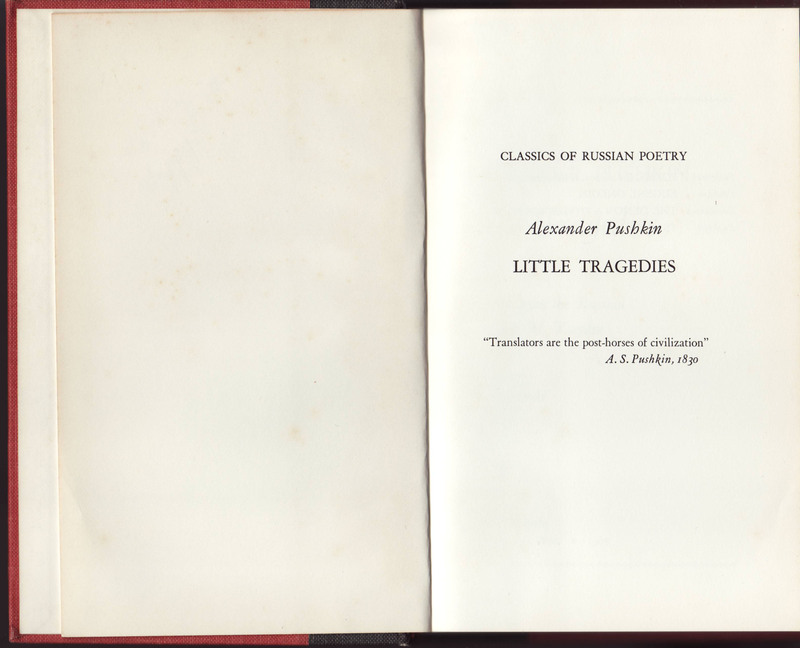 The title page includes the date of publication. The copyright page includes a first edition indication.